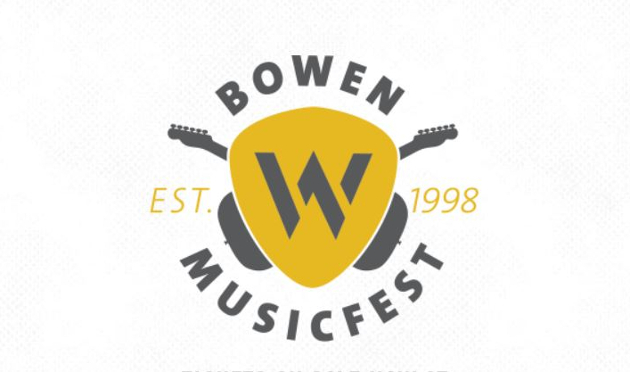 The Bowen MusicFest hosted by Texas music star Wade Bowen has just announced its 19th Annual, 2017 lineup, and it’s a doozy. Maybe the best yet. Joining Wade Bowen on stage will be the Country Music Hall of Fame-inducted Charlie Daniels Band, Texas music stalwarts Randy Rogers, Austin Allsup, and Shinyribs, Red Dirt royalty Cody Canada and Stony LaRue, next generation Texoma stars William Clark Green and Flatland Cavalry, along with Jamie Lin Wilson, Kaitlin Butts, and a bunch of other worthy artists. Folks will pack themselves into Indian Springs Park in Waco, TX on Sunday, June 4th for the festivities, all benefiting the Bowen Family Foundation that goes to help heal children and families in and around the Waco area. Wade Bowen and other participants have helped raise over $2 million dollars since 2006, and Bowen MusicFest raised $400,000 in 2016 alone. The event was first established in 1998. Charities that have benefited from the Bowen Classic in previous years include March of Dimes in Waco, City of West Disaster Relief, CASA of McLennan & Hill Counties, and the Boys and Girls Clubs of Waco. Tickets start at $20 for general admission, and kids under 12 are free. Good music, good fun, and for a good cause. For more information and to purchase tickets, go to bowenfamilyfoundation.org. 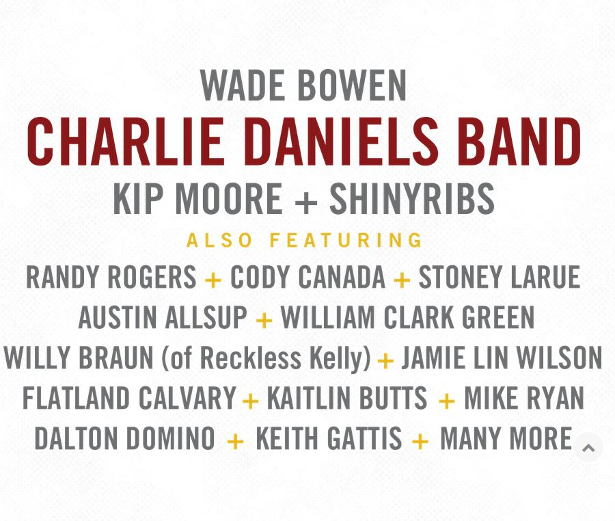 For a minute, I thought that Kip Moore was performing with Shiny Ribs backing him…the mind boggles. Is Wade’s event usually the weekend after Reckless Kelly’s softball tourney in Round Rock? Seems like they weren’t that close together in years past. 20 bucks, plus some Good groups, hell I would have paid 20 bucks, to miss the last 10 minutes of yesterday’s”award” show. These events usually try to include at least one guy that’s more mainstream to try to have something that appeals to everyone. Willie’s 4th of July Picnic does this every year too. Trust me, they can do much worse than Kip Moore. Last year, Willie’s Picnic had Brantley Gilbert. Kip puts on a great show, there’s a lot of energy and I think you’ll be surprised. Great lineup for sure. Come on y’all, Brantley Gilbert is better than Kip Moore. Is this cancelled due to rain?